What do you get when you combine design teams from a company that masters in crystal innovation and one of the leading design firms out there? 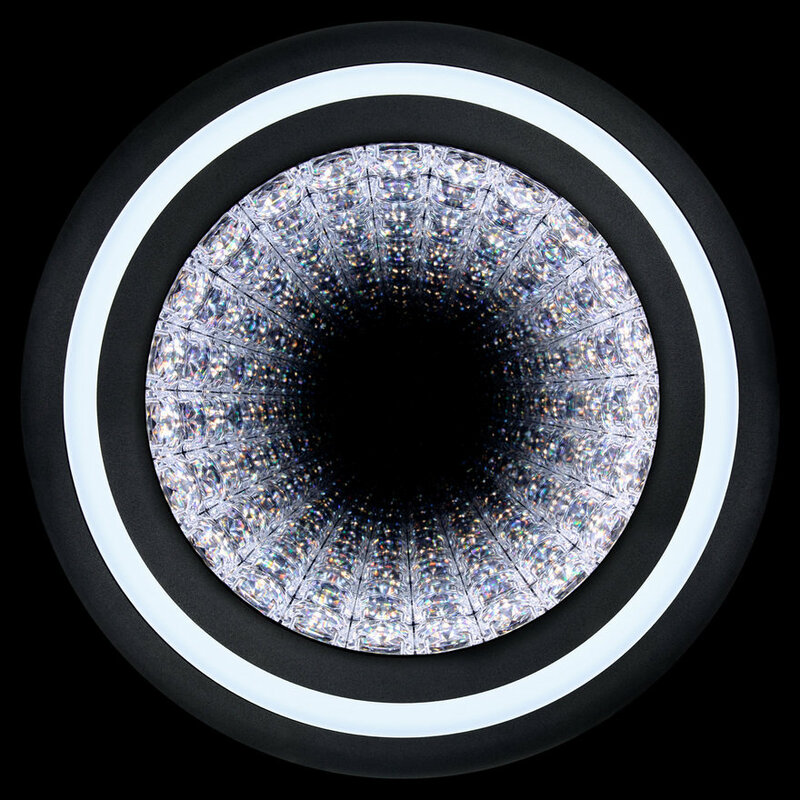 The Infinite Aura chandelier by IDEO and Swarovski. 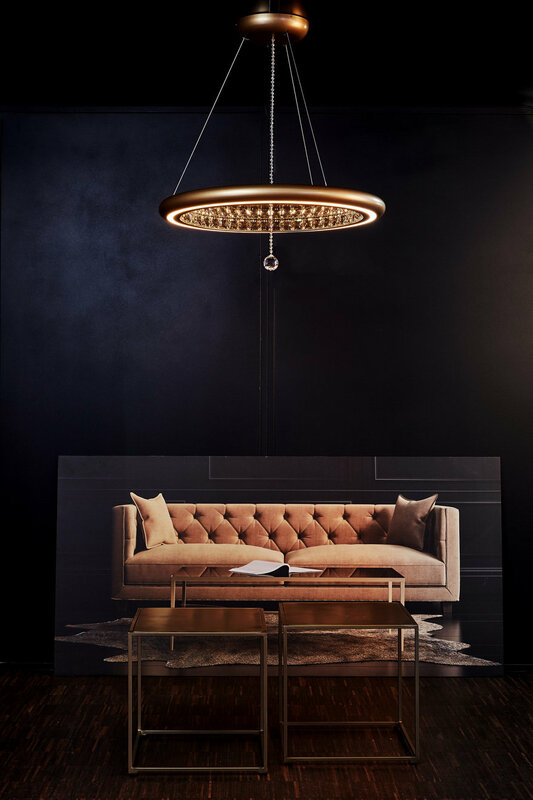 To bring Infinite Aura to life, the two powerhouse companies joined forces to reimagine the traditional chandelier. The result is a head-turning, functional light, paired with an app that provides connectivity, customization and personal creativity. Core77: How did this collaboration between IDEO and Swarovski begin? Elger Oberwelz: In 2016, Swarovski Lighting reached out to IDEO to explore a collaboration that would demonstrate the power and impact of design using an integrated team from both organizations. We moved forward with a brief that addressed these questions: How might we re-imagine the iconic chandelier in unusual and surprising ways that are relevant to today's users? How might we showcase the unique qualities of crystal in new and modern ways? How might we uncover unexpected forms and designs that could be uniquely Swarovski? These briefs seemed like the perfect fit for our build- and tech-focused Palo Alto studio, where Courtney and I are based. As a studio, we are comprised of a diverse group of technologists, industrial designers, engineers, interaction designers, design researchers, architects, data scientists, software designers, nerds and magicians. Rather than just talk or strategize, we show what's possible by making it real and visceral. 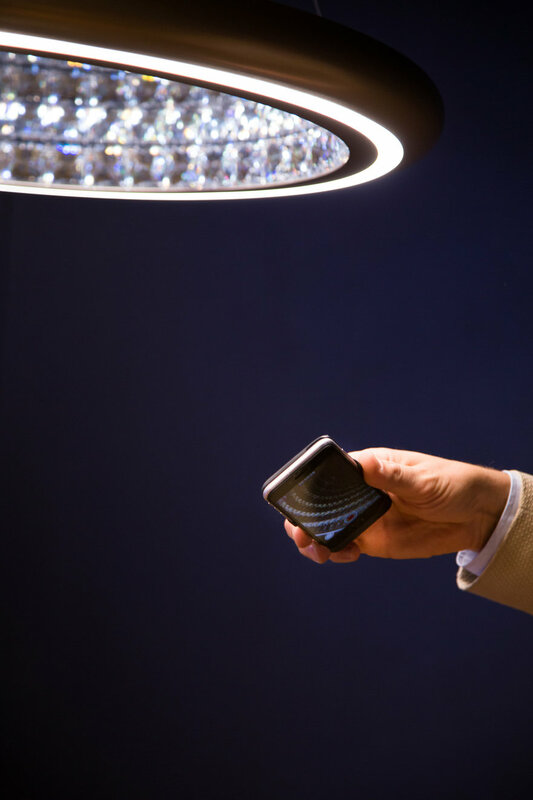 Roger Carthew: IDEO and Swarovski had already collaborated successfully on other former projects, so it made sense to utilize their innovative thinking to help create breakthrough innovation in the lighting category. Decorative lighting can be characterized in three ways: a design driven art piece, created to inspire and amaze, a functional light providing a source of light to complete a task, and a technology product to meet our desire for a smart connected life. With Infinite Aura, we deliberately created a product brief that would meet all three of these categorizations for the first time. What parts of the design process did each side of the collaboration work on? Elger Oberwelz: For this project, we assembled a combined Swarovski Lighting and IDEO team of designers. There were five different work streams going concurrently: physical design of the chandelier, brand strategy and positioning, digital development of app, software prototyping of light behavior, and finally physical build to make it all real. In essence, we assembled a mini swat team around this product to make sure all the work streams were coalescing into one amazing experience. 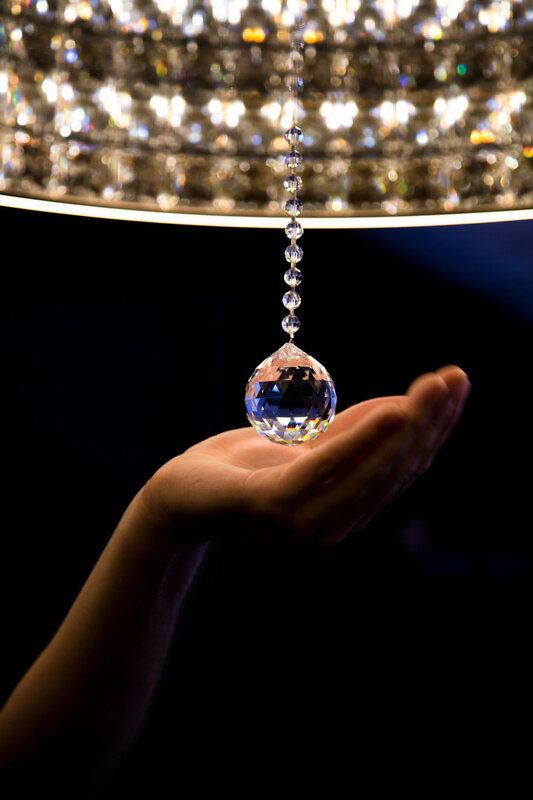 The Swarovski Lighting team deeply understood the brand, product strategy, and production processes, so they were critical in making fast decisions to move designs forward and keep the team moving. The IDEO team brought our human centered design lens, intuition and experience with luxury brands, different cultural backgrounds and points of view, and a willingness to try new things very quickly. We felt our most important imperative was to bring an open mind, a deep understanding of today's consumers and ultimately to bring the "design magic" to this product. At IDEO, we ask our designers to join projects that they are passionate about, as we know this makes for the best experience. Designers work solely on one project at a time to get the chance to really dive deep and focus. For this project, we brought together a core team of industrial design, interaction design, software and product engineers, led by Courtney, who is a trained architect with deep brand and service design experience. How did the Infinite Aura design process differ from your team's past projects? Elger Oberwelz: To accelerate the ideation process in the beginning, we invited twenty IDEO designers across our San Francisco and Palo Alto locations to join forces for a one and a half day build and ideation hackathon. This was a curated day filled with inspirational speakers, brainstorm sessions, sketching, building prototypes, good food, a nice and inspirational offsite location, and lots of happy designers getting their hands dirty. It was great. This crazy 1.5 days generated more than 300 ideas and 10 different promising concepts, brought to life through renderings and prototypes. 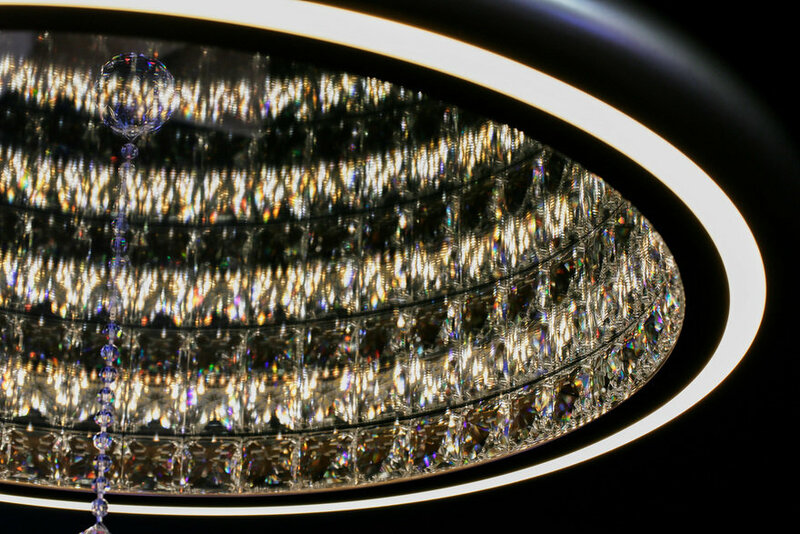 The idea for a chandelier that magically reflects crystals into infinity was born there. It was clear from the beginning that we had to see our concepts in a real world context. In order to achieve that, we built out one of our project spaces into a beautifully decorated dining room. Imagine a large dining table, dining chairs, and everything else that would make it into the perfect backdrop for our prototypes. When we showed our "works like, looks like" chandelier prototype at our end of phase presentation, the whole team gathered around the table and had a magical "family lunch." The Swarovski Lighting and IDEO team co-presented the concept while we all had the chance to fully immerse and experience the Swarovski Infinite Aura chandelier first hand. With our fully built out Swarovski digital app "Infinite Control," we could change the mood of the room accordingly. Swarovski Infinite Aura Design Process from IDEO on Vimeo. We also experimented with cinemagraphs, a combination of still photography and video, to tell an interesting visual story of all the different user scenarios for which the chandelier was designed. 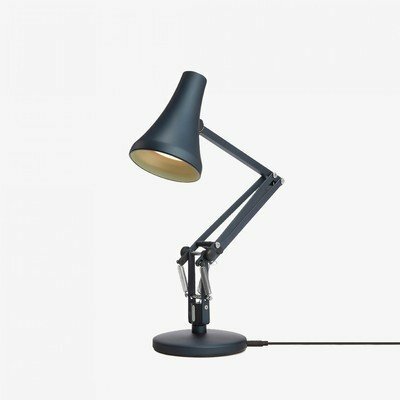 It would show "A Day in the Light," from very functional task light user scenarios to emotional lighting scenarios. To document our process, all designers were dedicated to capturing fun and interesting moments along the way, with the goal to hand over a process video that truly reflected our common ethos and build mentality. Courtney Song: This project was a rare opportunity to balance both beauty and technology from the very beginning and design with a medium as ephemeral as light. This combination of factors pushed the team to approach this project with a much more intangible goal than is typical—how do we produce awe and wonder, versus just pure function and utility? To evolve our designs throughout the project, we also tested physical prototypes in context from day one, which was different from a more linear design process where we sketch and visualize digitally before mocking up 3D prototypes. 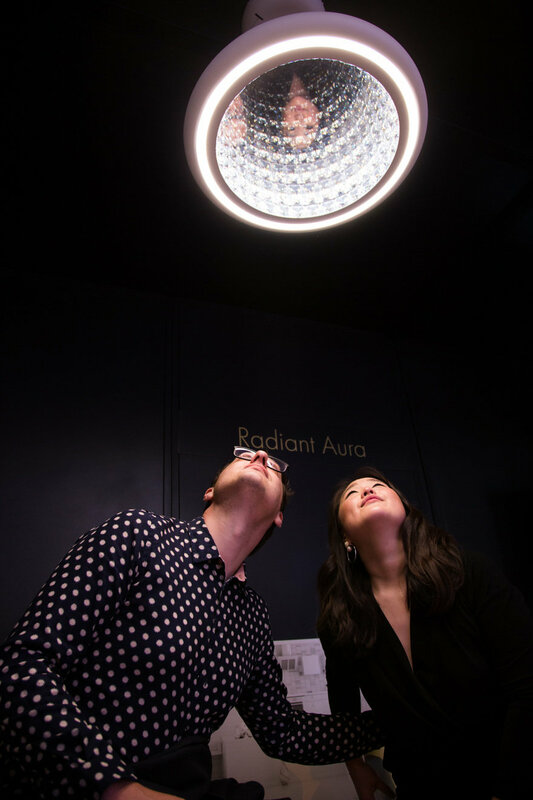 As a team, we quickly realized that to actually evaluate the chandelier designs, we had to experience them in person in specific environments to observe how natural daylight refracted through the crystals. Designing in context (whether it be a living room, kitchen, bedroom, etc.) 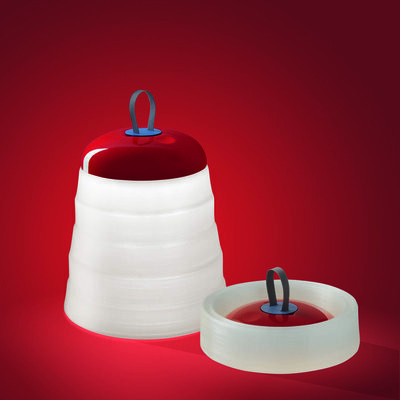 had profound impact on our product design. Instead of just thinking about details such as the product form itself, we considered the bigger, holistic system in which the light fixture would operate. How could we imagine what it felt like to come home to the light fixture and operate it with a light switch versus a connected home app? What light settings could support various types of environments and the various modes we cycle through in various contexts? To test our designs, we also pushed ourselves to assess the multi-sensorial impact of the product–from sight to sound to touch. Roger Carthew: Infinite Aura is the first time that Swarovski Lighting has combined crystal, light, cutting edge design, the latest app controlled technology, and the curated use of light temperature and intensity to allow consumers to match the light to both the occasion and their emotional feeling. By bringing the symbiosis of crystal and light alive through Infinite Aura, we allow light, clarity and depth to work together and give crystal an eternal quality encapsulating the mood of the moment while enabling the material's timelessness to add an essential ingredient to contemporary design. What special considerations did you have to keep in mind during the Infinite Aura design process? Courtney Song: We needed to keep in mind that Swarovski is a luxury brand with a well established audience, so we carefully considered how to modernize a storied icon of heritage—the chandelier—while still respecting Swarovski's strongly established brand. By always counterbalancing technology and function with emotion and art, we arrived at a nuanced connected lighting system centered on the end user's holistic experience of light. We relied heavily on intuition and the client's expertise to guide us throughout the short couple of weeks we were designing, all while still retaining a strong human centered lens on the role light plays in people's lives and various environments. We swiftly selected the design concept to start detailing out. That type of decisiveness and commitment to the concept was key in being able to reach the level of fidelity that we reached. Despite a compressed project timeline, the team operated in a rather efficient way. Each stream was self-sustaining, and we came together at opportune moments to quickly check in, make decisions, and go back into fleshing out the concepts. We also had a very experienced designer from Swarovski Lighting embedded with us the entire project, and he was instrumental in providing the IDEO team with a depth of knowledge of past learnings and helping us to work through feasibility and viability from the beginning. Surprisingly, there was not really a hierarchy of the design streams across the industrial design, the lighting design, the digital design, the brand and business strategy. Each stream was considered equally important. As project lead, my challenge was to harmonize all the work streams and make sure each stream's content was balancing each other at a high enough fidelity for everything to come together and produce a holistic, inspiring experience. 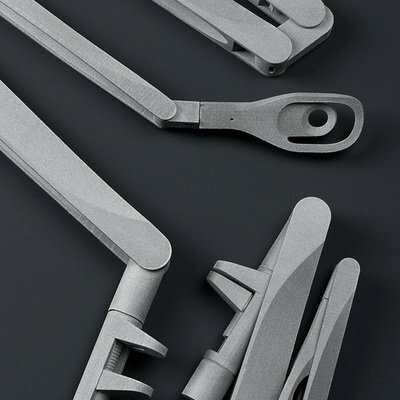 Roger Carthew: For this project, we were very focused on the human experience when interacting with the fixture. 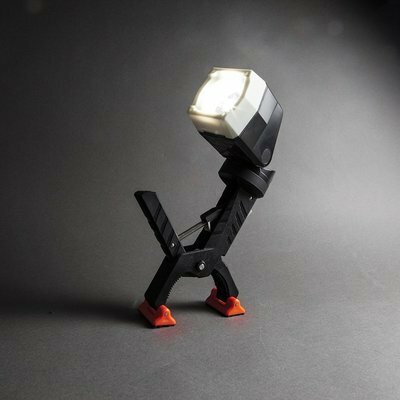 This took our thinking beyond functionality and into the realm of how light triggers emotion and memory. Our heritage of groundbreaking collaborations with designers, innovators and craftsmen demonstrate how Swarovski is an integral part of the language of design. We believe that crystal opens the senses, guides our understanding and gives a sense of security. We pay attention to every detail from the beginning of the design process until the product is hanging in the customer's home. The Infinite Aura collection is an exciting direction for our brand as it modernizes the concept of beautiful chandeliers and appeals to an entirely new consumer market. What are the main qualities Swarovski looks for in collaborators? Why was IDEO a good fit for Infinite Aura? Roger Carthew: Swarovski looks for collaborators who parallel Swarovski with equal professional reputation, experience and knowledge and who continuously seek breakthrough. We admire innovators who will take risks, challenge themselves and us, and ultimately find ways to exceed our expectations. Given our prior collaborations, IDEO were the perfect fit for Infinite Aura, and together we've reimagined the role of lighting today—combining leading-edge contemporary design, broad functionality, proprietary technology, and a personalized user experience.